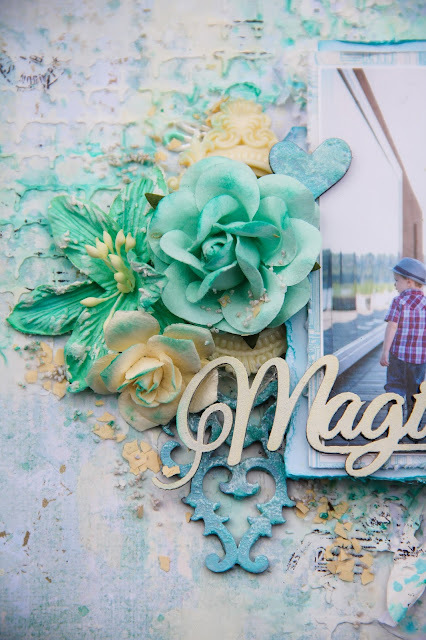 I'm up again today to share my last layout from Blue Fern Studios. My layout uses the Regalia paper again from the Seaside Cottage collection. 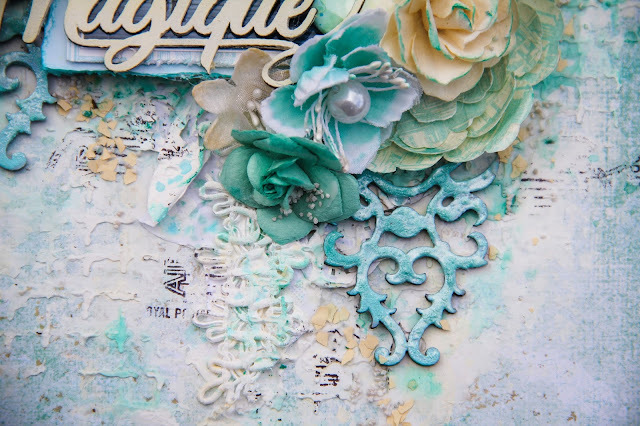 I just loooooove this paper! 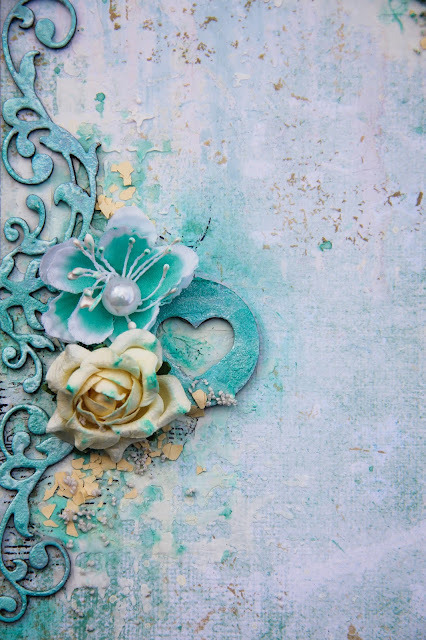 On my background, I used the Postal Textures stamps. On the left side of the layout, I used the Royal Border, which I painted with an aqua metallic paint. 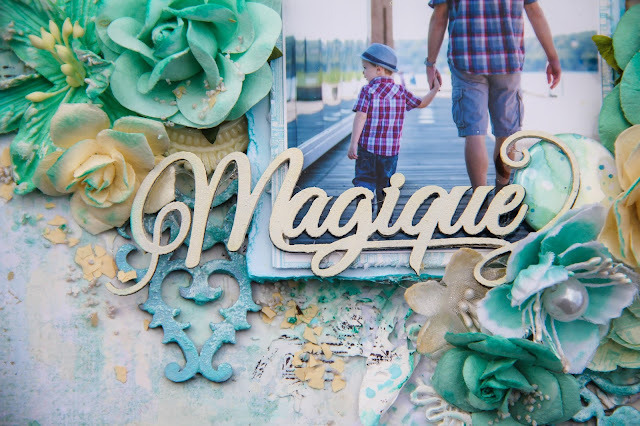 While the paint was still wet, I sprinkled some Imagine Ink pearl embossing powder and heat set it. I love the end result. I also used a speech bubble with a heart (I hid the tail of the speech bubble under my flowers) from the Picture Perfect set. It was given the same treatment as the Royal Border. To frame my main composition, I cut one of the Classic Ornaments in half and used both pieces (painted and embossed) around my flowers. 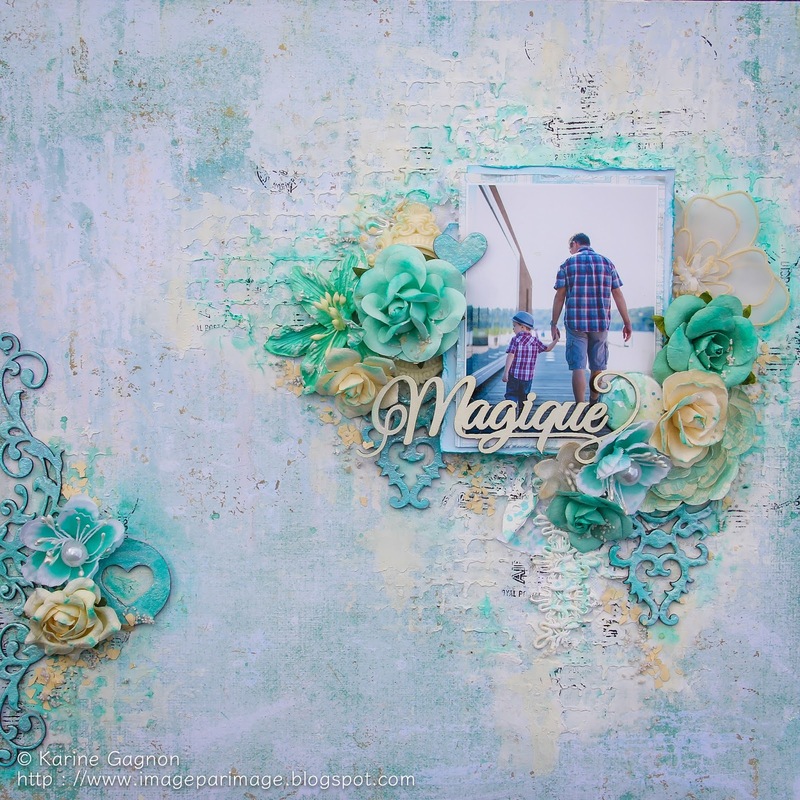 I used flowers from the Seaside Lilies, Tranquil Blooms and Tranquil Roses and Lilies. The little heart shape above the large mint flower comes from the heart speech bubble from the Picture Perfect set. My title is part of the French Adjectives 2 set. It was coated with white gesso, and then painted with cream ink. I hope this inspires you to get creative! Karine - your page is gorgeous and this new line of papers is lovely.